I had a discussion with a great master in Japan… and we were talking about the various people who are working to translate the Zen books into English, and he said, “That’s a waste of time. If you really understand Zen… you can use any book. You could use the Bible. You could use Alice in Wonderland. 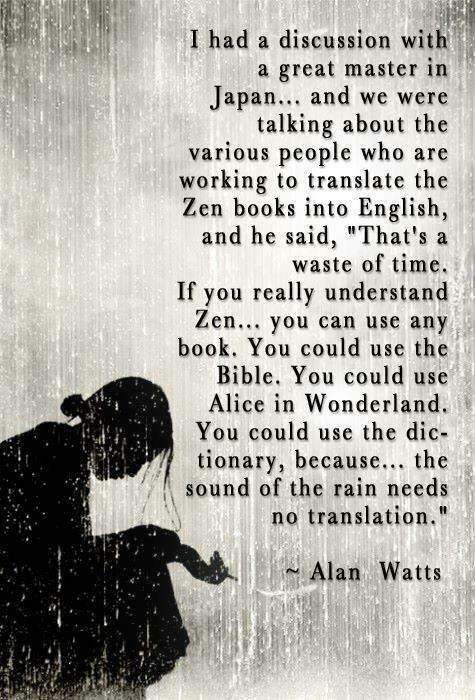 You could use the dictionary, because… the sound of the rain needs no translation.